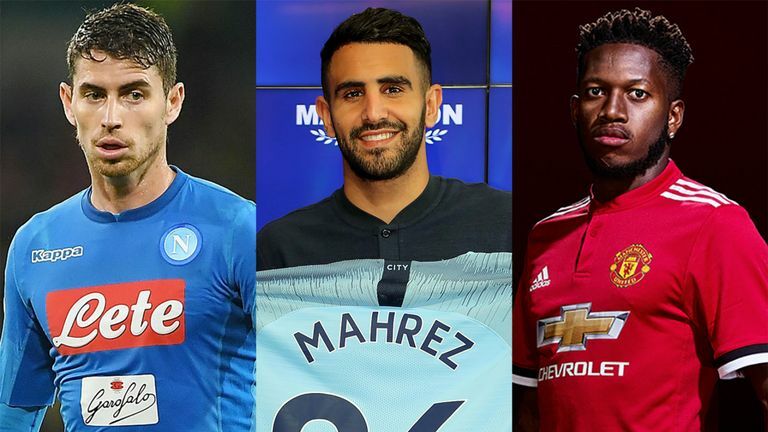 With the transfer window coming to a close in almost all parts of the world , let us quickly have a look at the top 10 biggest transfers of 2018-19 season so far. 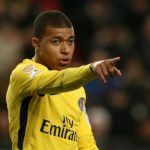 Kylie Mbappe (France,Monaco to Paris Saint Germain for 120 Mill. 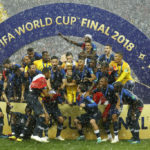 Euros)– The French teenage World Cup winner has been phenomenal both for club and country alike. His exploits in the recently concluded FIFA World Cup will be long remembered and has drawn comparisons with the Brazilian great Pele. He was adjudged the ‘best young player of the FIFA World Cup 2018’. 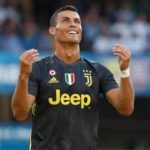 Cristiano Ronaldo (Portugal,Real Madrid to Juventus for 100 Mill.Euros)– The 5 time World Player of the Year ended his amazing 9 years association with Real Madrid and joined Italian giants Juventus for a 4 year contract. The transfer fee was the highest ever for a player aged more than 30 years old and the highest paid by an Italian club. 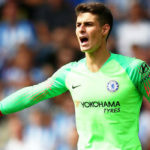 Kepa Arrizabalaga (Spain,Athletic Bilbao to Chelsea for 80 Mill.Euros)– The English giants paid Kepa’s release clause of 80 Mill.Euros to sign him from Spainish club Athletic Bilbao, making him the World’s most expensive goalkeeper. It remains to be seen how the 23 year old pays back his club with his performances. 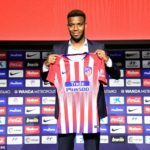 Thomas Lemar (France,Monaco to Atletico Madrid for 70 Mill.Euros)– The talented French midfielder who began his senior career five seasons back with the then second division club Caen was bought by Monaco in 2015 for a meagre 3.8 Mill.Euros. With his outstanding performances for his club Monaco he became a hot young talent and was speculated for a transfer to the English Premier League with clubs like Liverpool and Arsenal interested. But Atletico Madrid won his signature as they agreed to pay a whopping transfer fee to Monaco. Riyad Mahrez (Algeria,Leicester City to Manchester City for 67.80 Mill.Euros)– The stylish left footed Algerian footballer became the most expensive African footballer after the transfer. He was also Manchester City’s most expensive signing and a record transfer fee received by Leicester City ever. He won the Premier League with Leicester City in 2015-16 season and won the PFA Player’s Player of the Year. 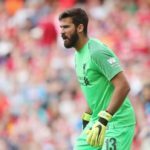 Alisson Becker (Brazil,Roma to Liverpool for 62.5 Mill.Euros)-After almost years of speculation about his transfer, Liverpool finally got his signature for a whopping transfer fee from Roma. The 6 ft 4 in goalkeeper had a tremendous last season for both club and country and will definitely make Liverpool more robust defensively. 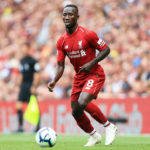 Naby Keita (Guinea,RB Leipzig to Liverpool for 60 Mill.Euros)– The Guinean Captain, a brilliant box to box midfielder with brilliant ball distribution and game reading was a perfect signing for Liverpool who terribly lacked quality in the central midfield. With Keita’s inclusion in the team Liverpool will look a more formidable opponent to beat. 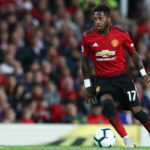 Fred (Brazil,Shaktar Donetsk to Manchester United for 59 Mill.Euros)– Jose Mourinho was desperately looking to add a fast box to box midfielder to his club Manchester United’s squad to add more versatility and won Fred’s signature from the Ukranian club Shaktar Donetsk for a huge transfer fee. It is now to be seen how Fred transforms his playing style to that that of Mourinho. Jorginho (Italy,Napoli to Chelsea for 57 Mill.Euros)– When Chelsea Coach Maurizio Sarri joined Chelsea , he brought Jorginho alongwith him from his former club Napoli for a hefty 57 Mill.Euros transfer fee. 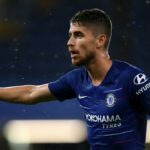 Chelsea’s play now is built around Jorginho, whose versatility allows him to play in any midfield position. 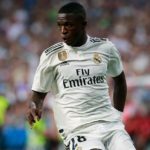 Vinicius Junior (Brazil,Flamengo to Real Madrid for 45 Mill.Euros)– The 17 year old Brazilian prodigy was sold to Real Madrid by Flamengo for 45 Mill.Euros only effective after his 18th birthday on 12 July 2018 (as age 18 is the minimum age for international transfer).His transfer fee is the highest amount ever paid by a club for a footballer under the age of 19. 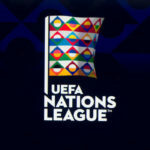 Fabinho (Brazil,Monaco to Liverpool- 45 Mill.Euros), Malcolm (Brazil, Bordeaux to Barcelona- 41 Mill.Euros), Joao Cancelo(Portugal, Valencia to Juventus- 40.40 Mill.Euros), Leon Goretzka (Germany,Schalke 04 to Bayern Munich- Free transfer), Radga Nainggolan (Belgium, Roma to Inter Milan- 38 Mill.Euros), Felipe Anderson (Brazil, Lazio to West Ham United- 38 Mill.Euros). 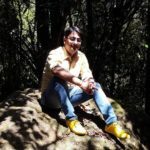 Leonardo Bonucci (Italy, Milan to Juventus – 35 Mill.Euros) etc.